These slow and warm summer days are filled with many happy colors! Have you also noticed all the different hues of colors when you look around? Do you have a favourite summer color? Though the colors might not be as vivid and fresh as in spring, they still are lively and beautiful. I love the bleached and faded shades of these natural summer colors and would like to share this summer palette with you. 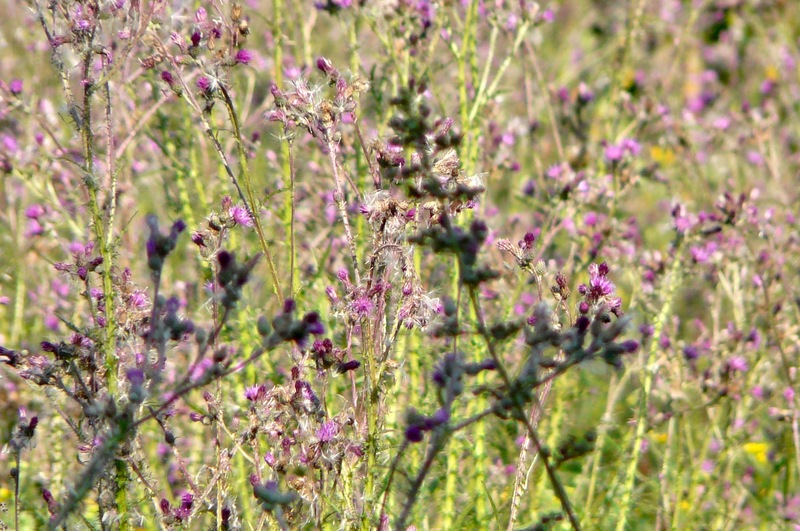 A blooming field with it’s purple shades of thistles in all shapes and varieties. 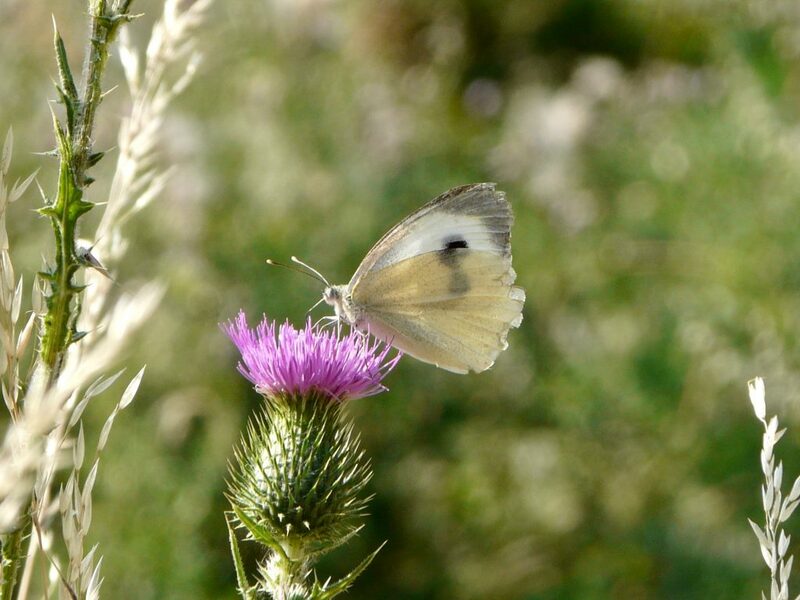 The cabbage butterfly found the perfect spot on this thistle and dances on the warm summer breeze. 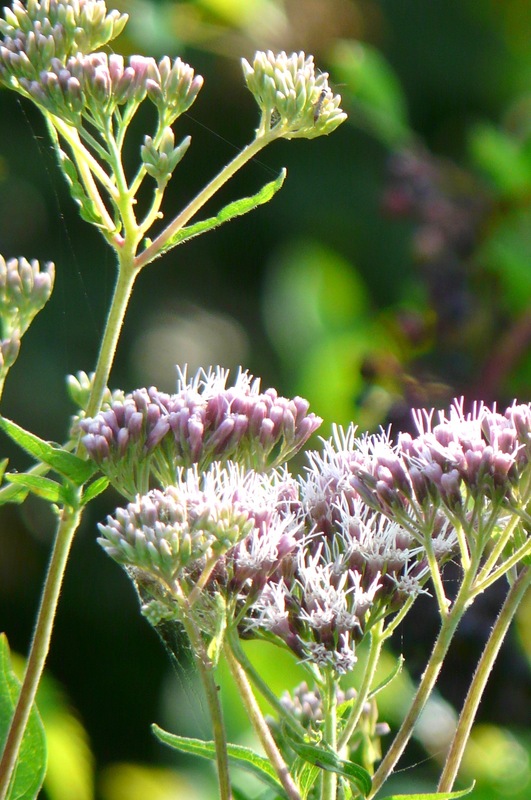 The delicate agrimony with it’s soft rose hues and tiny flowers. 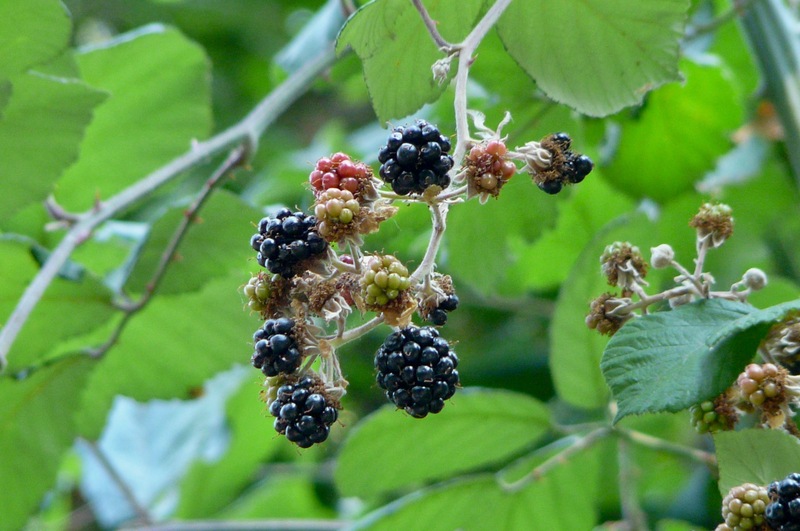 The first of the wild blackberries. 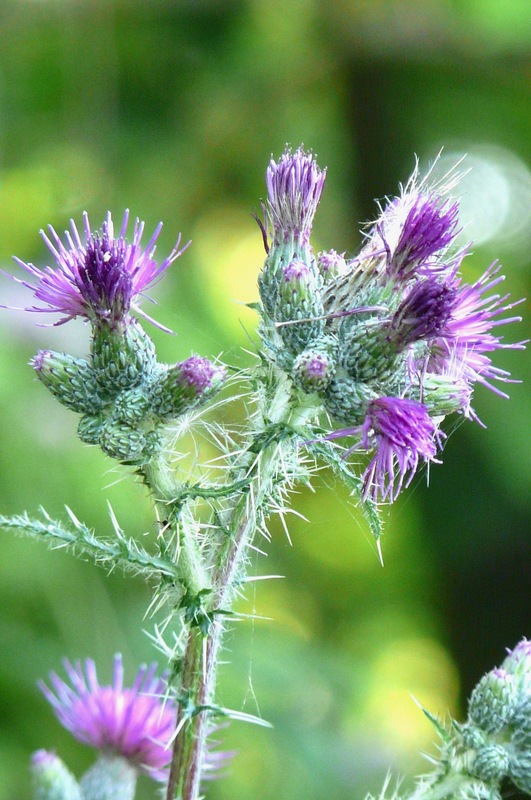 They can’t be ignored as they are so vividly and dark colored in bluish black. 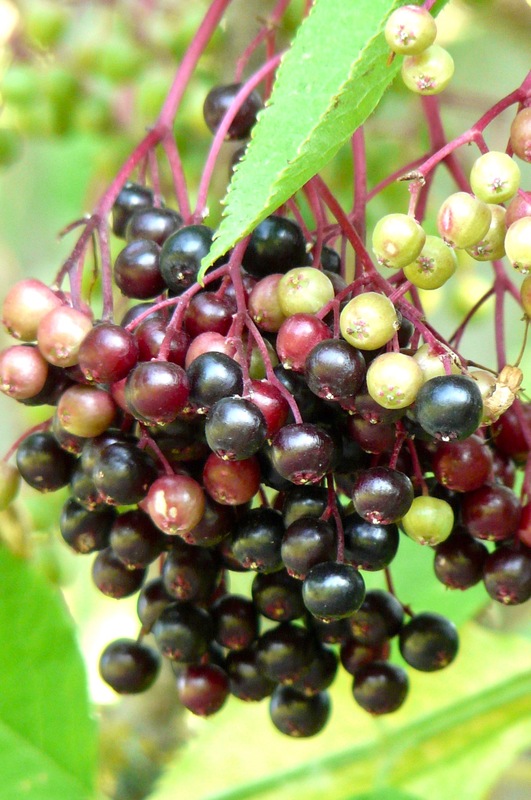 Some of the elderberries are slowly getting ripe too. 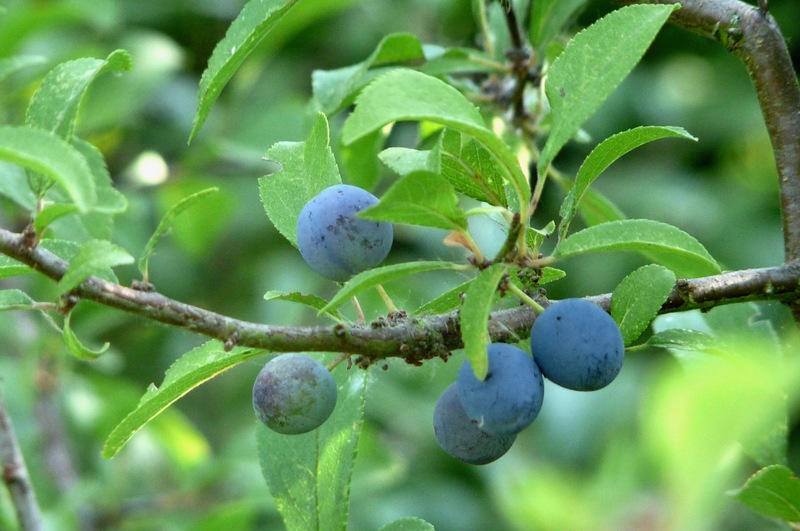 I love these dark hues as they are the heralds of the abundance of autumn harvest. 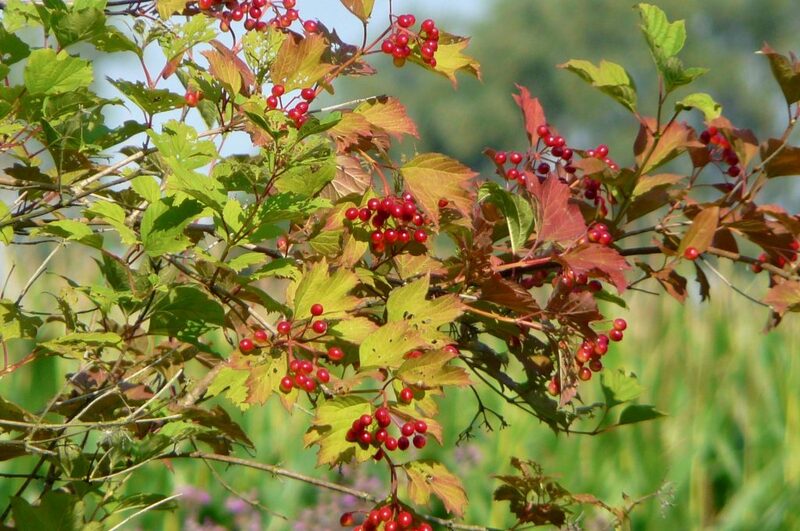 The berries of the guelder rose are turning from yellow to red and their leaves are becoming reddish brown now. It might already feel like autumn but their color change is more likely the effect of the long drought. And of course, yellow is a happy summer color and has to be part of the summer palette. 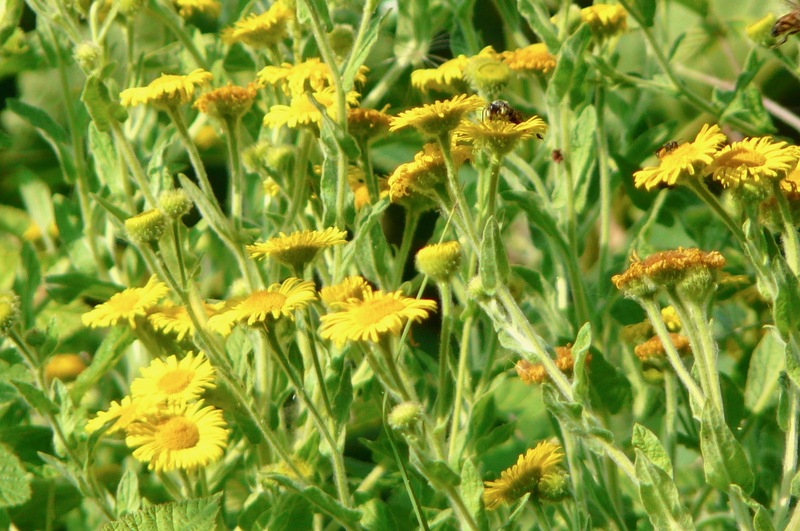 The bees seems to love these flowers for their pollen! After having seen all these bright colors, I also noticed some more brown shades. Spring flowers are fading and producing their seeds. Captured in summer sunlight they are beautiful in their own way. They make sure we can enjoy the flowers again next spring! 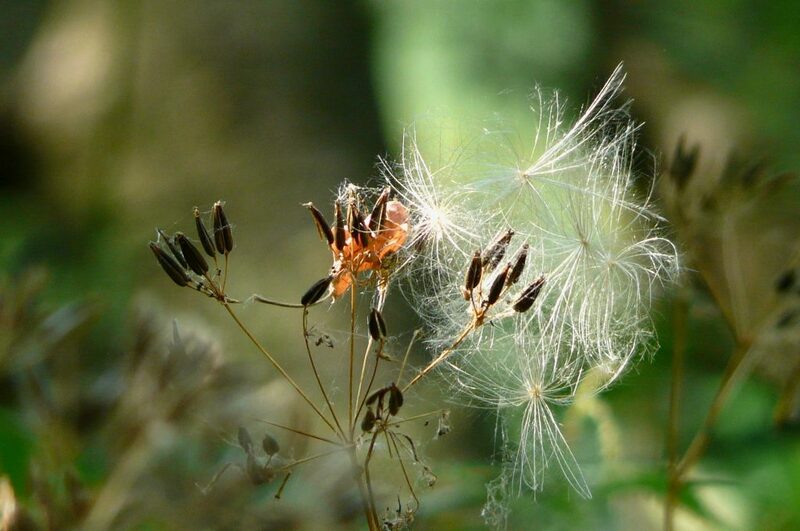 Seeds as light as a feather and flying free on the warm wind. 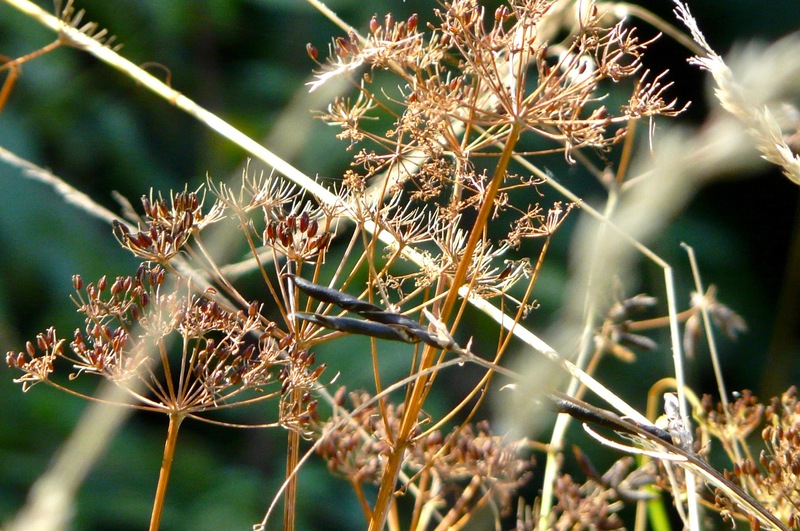 A collection of brownish dried seeds and grasses against a green background. 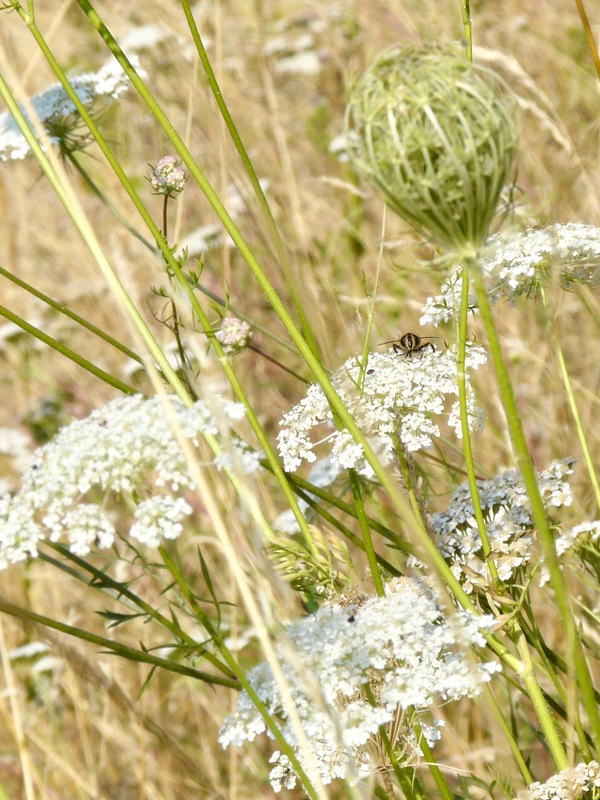 One of my favourite wild flowers are these wild carrots. If you look carefully you can spot the dark pink spot in the middle of the flower. 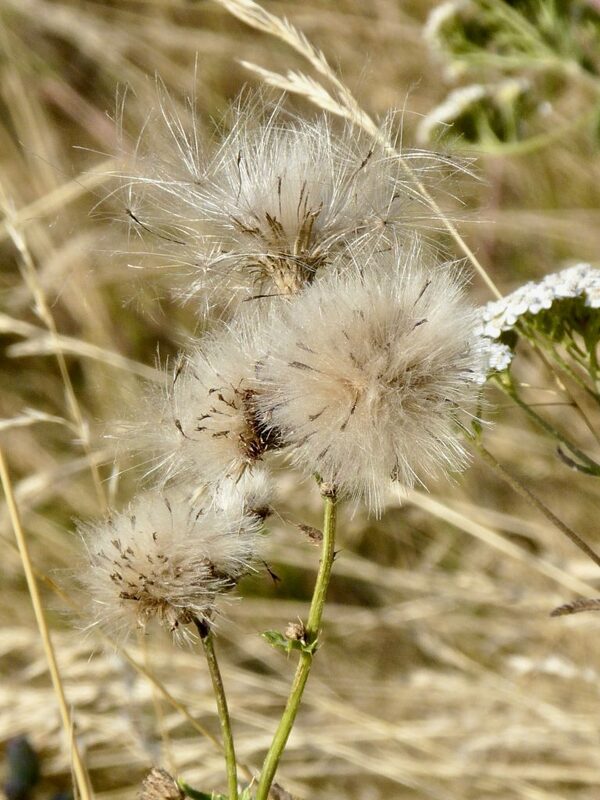 Even their seed heads look beautiful and perfectly shaped. 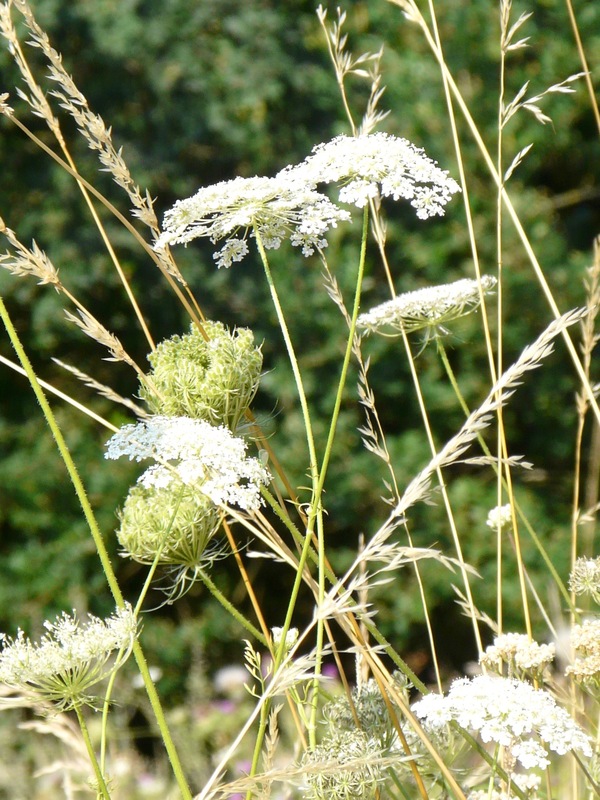 Soft white against dried grassed with light green stems makes a lovely view, don’t you think too? 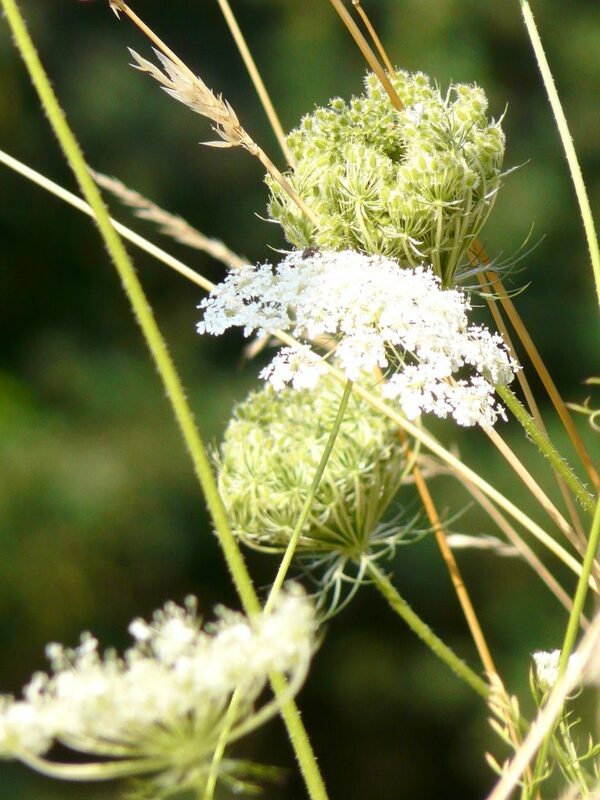 These delicate flowers look like tiny lace parasols, don’t you think too? 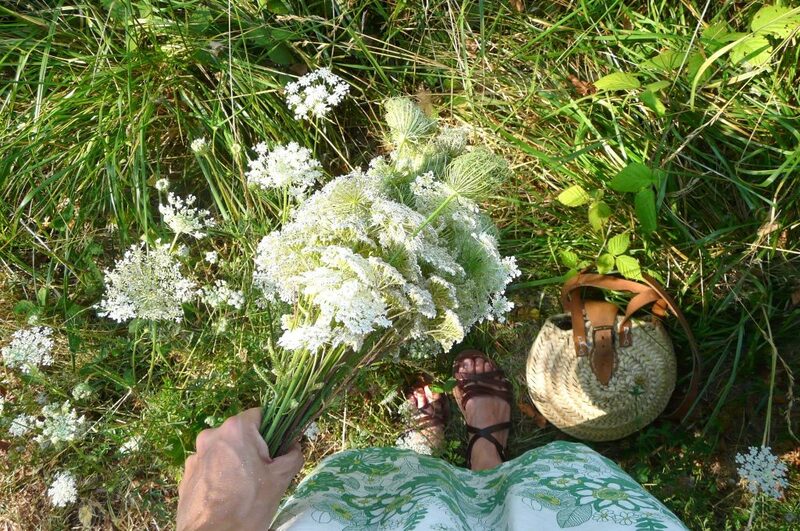 On my way back I picked some of these sweet summer flowers to decorate our table with. As the heat draws me to the coolness of our home, it’s nice to enjoy the beauty of these summer colors inside too. I wish you beautifully colored summer days!